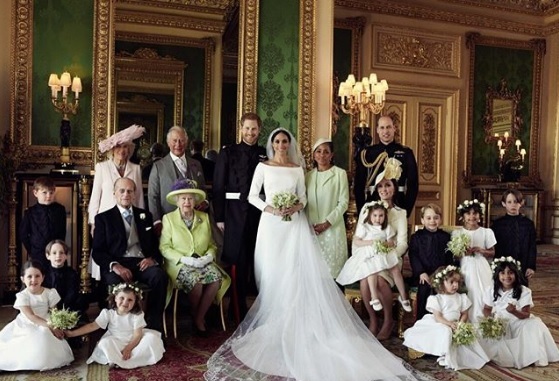 We get two group portraits in the set, taken in the Green Drawing Room at Windsor Castle. As well as a photo with the Queen there is another gathering with Meghan, Harry and their bridal party. 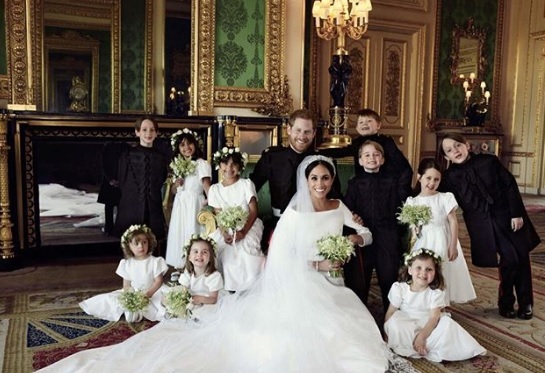 And, just as Kate and William did in 2011, they pay homage to the famous portrait of Charles and Diana and their bridesmaids and pageboys with the group sitting on the floor and giggling. 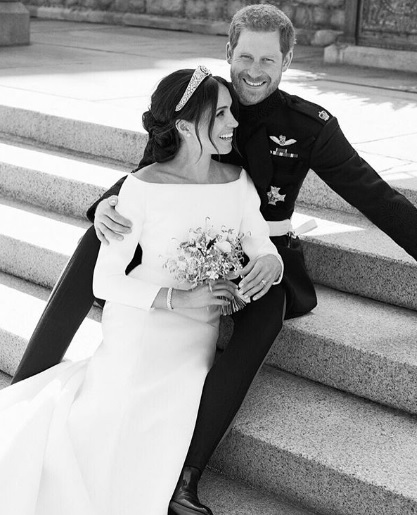 The final portrait in the set stars the bride and groom in a romantic black and white shot where Harry looks really very happy with himself and his bride looks very, very beautiful indeed. The three photos won just under three million likes in less than an hour on the official Kensington Palace Instagram account and no wonder. The official portraits are the perfect end to a perfect weekend.